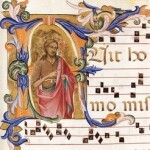 Are These the Ten Best Hymns of All Time? On the “Worst” list, I agree with the first commentator that “Lord of the Dance” belongs front and center on this list — as well as “Somos del Cuerpo de Christo (We are the Body of Christ).” As an added thorn in my side, why is it that so many parishes include these more modern “hymns” with Spanish lyrics even when virtually no one in their community speaks Spanish? Because it’s Latin-ish? Also: I would be remiss not to wish my Junto brothers a very happy and blessed Easter. Christ the Lord is risen today, Alleluia! Alleluia, He is risen indeed! 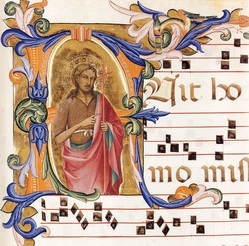 Considering the involvement my family has had in liturgical music over the years, your blog sparked some interesting conversation over Easter dinner. After reviewing both lists supplied by First Things we were a bit disappointed that some “favorites” had been missed. From the “10 Best” list, how could Saint Thomas Aquinas’ Tatum Ergo be overlooked? For a very inspiring contemporary version of this classic, I recommend Matt Maher, https://www.youtube.com/watch?v=S8Sz0uFridc…… For those liturgical songs we wish we could forget, near the top of the list would be Song of the Body of Christ by David Haas (supposedly now a Unitarian). An egocentric trite song set to the melody of a Hawaiian luau. I have to admit, I like the older, more traditional music much better than contemporary church music — but when our kids were younger, the music at the “youth Mass” on Sunday evenings helped keep them wanting to come to church week after week! I supposed there are good contemporary songs and bad ones, or good contemporary versions of old hymns, eh? And yeah, I never got “Lord of the Dance.” At all.